Matthew P. Canepa (PhD, University of Chicago) is Professor of Art History and Elahé Omidyar Mir-Djalali Presidential Chair in Art History and Archaeology of Ancient Iran at University of California, Irvine and currently Villa Scholar at the Getty Research Institute, Los Angeles. An historian of art, archaeology and religions his research focuses on the intersection of art, ritual and power in the eastern Mediterranean, Persia and the wider Iranian world. He is a faculty member in University of California, Irvine’s Department of Art History and Ph.D. Program in Visual Studies and affiliated faculty member of the Department of Classics. Professor Canepa is an active contributor to UC Irvine’s Samuel Jordan Center for Persian Studies and Culture, North America’s premier center for research and teaching in Iranian Studies. 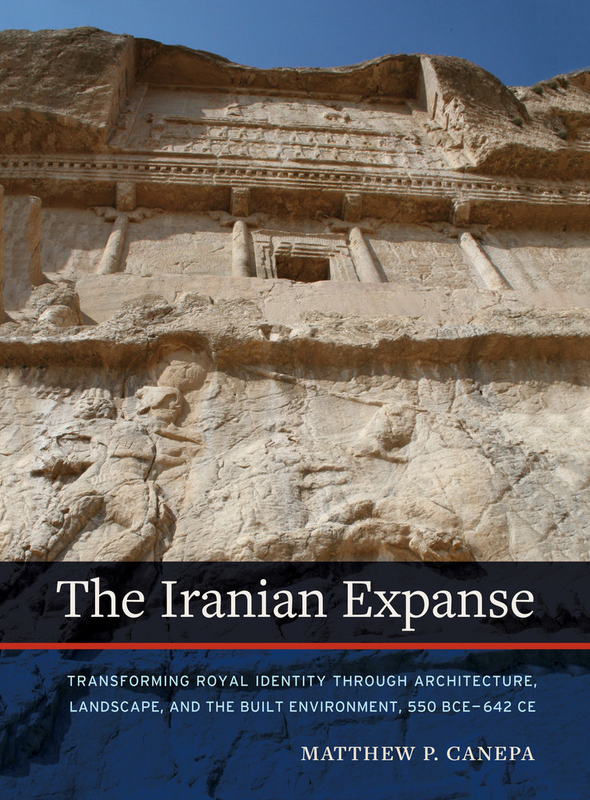 Professor Canepa’s most recent book is entitled The Iranian Expanse: Transforming Royal Identity through Landscape, Architecture, and the Built Environment (550 BCE – 642 CE) (University of California Press, 2018). It is a large-scale study of the transformation of Iranian cosmologies, landscapes and architecture from the height of the Achaemenids to the coming of Islam. His publications include The Two Eyes of the Earth: Art and Ritual of Kingship between Rome and Sasanian Iran (University of California Press, 2009; paperback ed. 2017), the first book to analyze the artistic, ritual and ideological interactions between the late Roman and Sasanian empires in a comprehensive and theoretically rigorous manner. It was awarded the 2010 James Henry Breasted Prize from the American Historical Association for the best book in English on any field of history prior to the year 1000 CE. Theorizing Cross-Cultural Interaction (Smithsonian, 2010) studies the phenomena of cross-cultural interaction between the ancient to early Medieval Mediterranean, Western Asia and China. He served as area advisor and editor for the The Oxford Dictionary of Late Antiquity (2018), the first comprehensive reference covering every aspect of history, culture, religion, and life in Europe, the Mediterranean, and the Near East (including the Persian Empire and Central Asia). Professor Canepa is an elected Fellow of the Society of Antiquaries of London, and has been the recipient of numerous research fellowships including from The Getty Research Institute (2019 and 2013), The Institute for Advanced Study, Princeton , The John Simon Guggenheim Memorial Foundation (2015-2016), The American Council of Learned Societies (2009-2010), the Deutsches Archäologisches Institut (2007), and The Council of American Overseas Research Centers (2002-2003). In fall 2009 he was invited to be the Michaelmas Term visiting Senior Research Fellow at Merton College, University of Oxford. In 2016 he lectured as Directeur d’études invité at L’École Pratique des Hautes Études, Paris.